How fast time flies.. It still seems life yesterday when we celebrated holi and before you know Janmastami, Navratri/ Durga Pujo , Lakshmi puja and now Diwali.. The year went by so quickly. 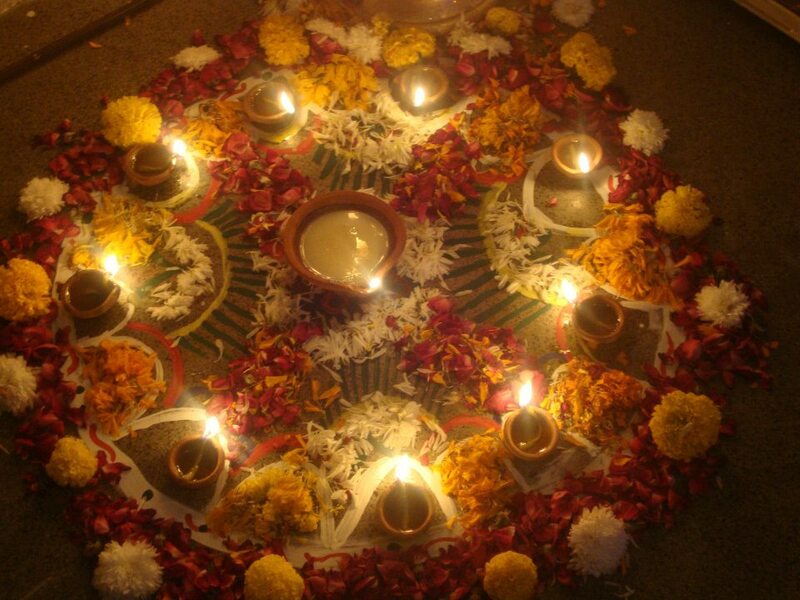 Diwali or Kali Pujo as Bengalis know it is one my favourtie festival. The lights, crackers, New Clothes, lots of gifts and not to forget food.. Actually it is the food part that gets me all excited about Diwali. Bengali families would traditionally cook mutton curry from the goat that is sacrificed to Goddess Kali. But the rest of India well most parts of India are Vegetarian on the day of Diwali as they pay homage to Goddess Lakshmi the God of wealth and Ganesha the God of prosperity. 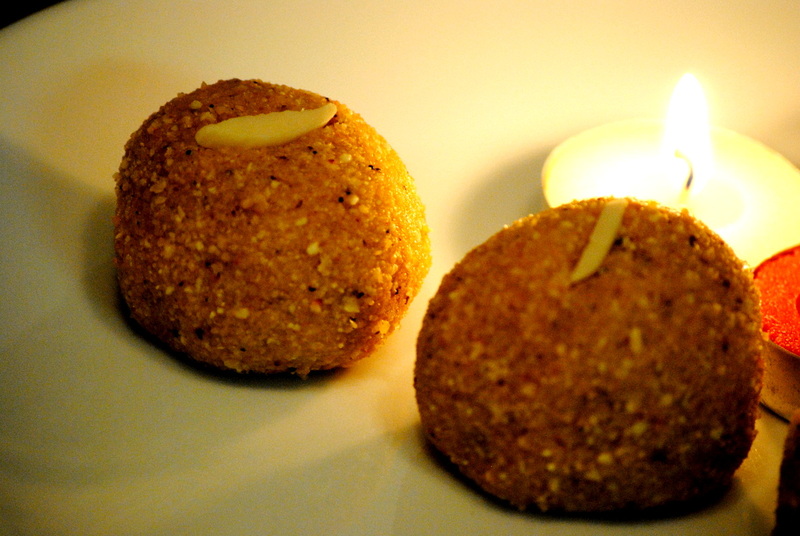 The best part about Diwali are the sweets, the gorgeous barfis, the delectable, ladoos, moth watering Gulab Jamun and the list goes on and the drooling is endless . 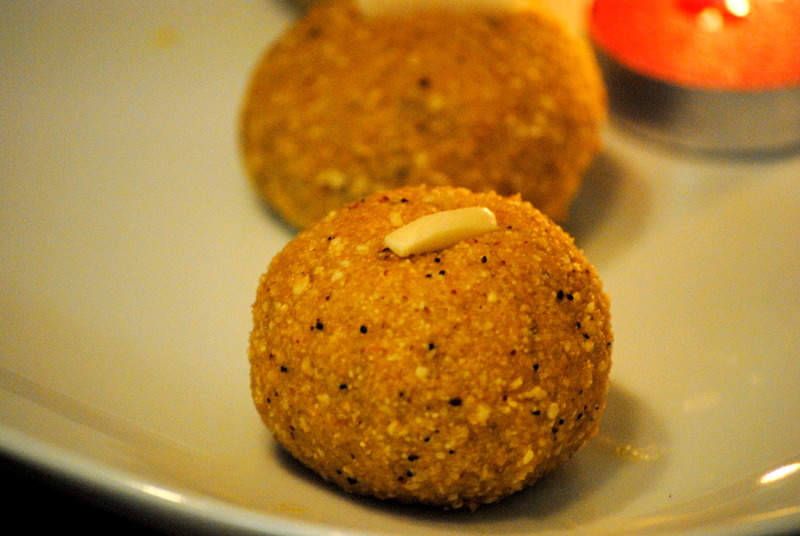 A personal favourite of mine is Besan ke ladoo, I just love those gorgeous golden balls melting in my mouth.. Diwali and Laddos are synonymous and if I had to choose between Boondi and Besan ke ladoo it will have to just have to be besan ke ladoos.. So here we go.. In a deep based wide pan on medium to low heat dry roast the besan and the sooji together, without burning it. This should approximately take 7-10 mins. Next add the sugar and the cardamom powder. Finally, add the clarified butter or ghee and mix well. Stir to avoid lumps and add the ground cashew nut . Remove the pan from the heat and let the besan mix cool to a warm temperature. Don’t let it to come to room temperature. While the mixture is warm start making ladoo. Take 2 tbsp of warm besan mixture and gently press and roll between your palms to form a lemon sized balls. Decorate with the sliced almonds. Repeat this step for rest of the flour. Let it cool for sometime and then serve it as a snack.